Corporate blog is a weblog which published and used by an organization to reach its organizational goals. Currently, all major browsers (including Firefox, Opera, Safari and Internet Explorer 7) support RSS technology, which enables readers to easily read recent posts without actually visiting the blog, which is very useful for low-volume blogs. There are many different types of corporate blogs, most can be categorized as either external or internal. An internal blog is a weblog that any employee can view through the corporation's Intranet. Many blogs are also communal, allowing anyone to post to them. The informal nature of blogs may encourage employee participation, free discussion of issues, collective intelligence, direct communication between various layers of an organization and a sense of community. Internal blogs may be used in e-mail discussions especially the employees are in different locations, or have conflicting schedules. Blogs may also allow individuals who otherwise would not have been aware of or invited to participate in a discussion to contribute their expertise. An external blog is a publicly available webblog where company employees, teams, or spokespersons share their views. It is often used to announce new products and services or the end of old product, to explain and clarify policies, or to react on public criticism on certain issues. It also allows a window to the company culture and is often treated more informally than traditional press releases, though a corporate blog often tries to accomplish similar goals as press releases do. In some corporate blogs, all posts go through a review before they're posted. Some corporate blogs, but not all, allow comments to be made to the posts. Corporate blogs are not only interesting and useful, they are also helping the companies develop a totally new relationship with their customers. Sometimes, the blogs will help the company move the needle in reputation, cute and thus purchase consideration. E-learning is a term for all types of technology-enhanced learning (TEL), where technology is used to support the learning process. E-learning can be defined in many ways. According to J. Rosenberg, e-learning refers to the use of Internet technologies to deliver a broad array of solutions that enhance knowledge and performance while according Elliot Masie, The Masie Center, E-Learning is the use of network technology to design, deliver, select, administer, and extend learning. However, the main player of e-learning are private and public institutions of higher education as well as local and multinational corporations. Malaysia's first open university – Open University Malaysia (OUM) is the main academic institutions that leverages on e-learning to deliver its programmes. Learning materials can be access anytime and anywhere. Student can obtained the materials from their home and even at the midnight. Once the e-content has been developed and uploaded on the server, it is relatively inexpensive to distribute domestically and worldwide. The contents downloaded can be save in pendrive and portable. Students can save the cost of printing. It enables the content to be easily and regularly updated and instantly available to all students. Thus, student can get the most updated material on time. Content can be delivered to a small or large number of students with little effort. The students that facing geographically disperse can get the contents and experience may shared between students. Some of the students does not own a computer especially the student in the rural areas might face the problem of computer illiterate. They might find difficult to adopt the e-learning mode. For the students who have difficulties in English speaking especially Malaysian students does not have self-motivation to adopt such mode. They might not be confident with the contents in English. The student's health being affected as long time facing with computers may assist many side effect such as vision problem, repetitive strain injuries. And ergonomic which means pain in wrists. Online learning requires a very high degree of self-motivation which is found to be lacking among our students. Basically, students will be motivate if available of control from lecture or tutor. As a conclusion, e-learning will play an important role in democratizing education and contributing towards generating knowledge workers in Malaysia. However, government needs to realize the full potentials of e-learning among students and active in promoting and supporting this initiatives. Electronic Government or E-government has become very popular in today's technological advancement world. E-government is the use of information and communication technology to provide and improve government services, transactions and interactions with citizens,businesses,and others. The most important of implementation of e-government is aims to help strenghten government's drive toward effective governance and increased transparency to better manage a country's social and economic resources for development. Many countries have widely implemented e-government since last decade,including Malaysia in order to deliver electronic government service to benefit their citizens. E-government was started to implement in M'sia since the introducton of Multimedia Super Corridor (MSC) in year 1996. This initiative was launched to lead our country as a step into the Information Age. Its purpose is to improve Malaysian government's internal operations,as well as the delivery of government services to Malaysia's citiizens. Besides that,it can also enhance the convenience,accessibility and quality of interactions with the citizens and businesses. Meanwhile,it can improve information flows and processes within government ,the speed and quality of policy development,coordination and enforcement. Under these 7 pilot projects, it is divided into 3 categories,there are Government to Citizens (G2C), Government to Business (G2B) and Government to Government (G2G). With e-services, now everyone can conduct transactions with Government agencies, such as Tenaga Nasional Berhad (TNB) and Telekom Malaysia Berhad (TM) through various convenient channels such as the eServices kiosks and internet. It eliminate the queuing, traffic jams or bureaucratic hassles and they can conduct transactions at their own wish and convenience. ~ Enable an effective and integrated job matching process. ~ Provide an effective center of labot market information and references. ~ To improve mobilisation of the nation's human resources and to ensure that manpower utilization is optimized. ~ To improve the effectiveness of JKSM (Jabatan Kehakiman Syariah Malaysia) in coordinating and supervising related agencies under its jurisdiction. ~ To improve the productivity and efficiency of the management of the Syariah courts throughout the country. ~ To upload the splendors of Islam through the use of ICT(Information of Communication and Technology). ~ Enables accountability and transparency. ~ Creates more skilled and knowledgeable workforce. ~ Equips the workforce with the latest technology at minimum cost. ~ Efficient preparation and storage of documents. ~ Fast search and retrieval of documents. ~ Effective and productive collaboration and sharing of information. ~ Secure and traceable access to documents. ~ Effective staffing and right-sizing of civil service. ~ Up-to-date consolidated HR data for effective information planning. ~ Automate human resource anagerial and operational processes. ~ Improve paperless HRM capabilities. ~ Open and flexible system. ~ Better communication, horizontal integration, streamlined processes and single window access. ~ To support and monitor entire lifecycle of Malaysia's 5-Year development program. ~ To have a quality projects. ~ To provide a platform for exchanging ideas and demonstrating best practices models in project implementation. ~ To have an effective decision making based on analysis or forecasting of project informaiton and auto-alert on problem projects (e.g. Budget overrun). E-Government adoption requires that citizens show higher levels of satisfaction with the online service provided by the government. A higher level of customer satisfaction will increase the rate of e-Government adoption. Online service quality for e-Government could be measured in terms of quality of content provided on the website, the speed of the response to the citizens concerns with problem solving approach, and the availability of names. Other important measurement factors are telephone and fax numbers of personnel with whom citizens might need to get in touch, and the integration of an offline channel with online channel so that citizens could interact with government departments through other means if necessary. Higher quality of service will lead to higher levels of customer satisfaction and thus can increase the use of e-government services. Personalization of websites, customization of product offerings, and self-care are the three key features that could be used not only to build relationship with the visitors, but also to enhance their experience. These features give visitors a sense of control and participation and could potentially enhance their adoption. Besides that, detailed guidance and instructions such as Frequently-Asked Question section and etc must be available to aid the citizens in using the e-government services effectively and smoothly. User characteristics have a direct impact on e-government service adoption such as perceived risk and control and also internet experience. Experience influences a citizen’s trust of e-government. Users with prior experience, especially if satisfied, would be more likely to return to use e-Government services. Perceived risk leads to security and privacy issues that might discourage the use of online services. It is crucial to ensure that citizens can have online transaction securely and their personal information will be kept confidential to increase the level of trust and the e-government adoption rate. Malaysia has launched the FIRST mobile payment system in year 2001. It is known as TeleMoney, the first mobile payment service via multi-channel access for Internet and wireless transactions. A customer with a credit card or debit card with a cellular phone can register for this service. By using the GSM phone and TeleMoney identification number, user can connect it to credit card, debit card, stored valued card, bank account or even the phone account. This allowed customers enjoy a secure and convenient way to conduct mobile commerce using GSM cellular phone. Recently in April 2009, Maxis communication Bhd. in Malaysia also launched the world’s first contactless mobile payment services known as Maxis FastTab which has been trialling in October 2007 where known as Maxis Touch to Pay for that period. It uses near field communication (NFC) technology, with partners such as phone company Nokia, financial services companies Visa and Maybank, and Malaysia’s Touch ‘n Go card. NFC is a short-range wireless technology that allows communications be tween devices at close range. 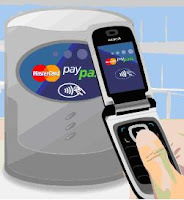 As an open platform technology, NFC offers high levels of interoperability between devices and readers and is now the global standard for contactless mobile payments, with a wide range of features that allows credit card, debit card, ticketing and transportation payments to be integrated into a mobile phone. With this launch, customers who sign up for Maxis FastTap are able to use their Nokia 6212 classic phones to purchase goods and services at more than 1,800 Visa payWave merchant locations as well as pay for toll, transit, parking and theme park charges at more than 3,000 Touch ‘n Go points nationwide. The payment is done by placing the handset within centimeters of a Visa Wave and Touch n Go readers; the transaction is then authenticated within seconds to complete the purchase. As a conclusion, NFC offers consumers an easy way of using a mobile device for secure transactions through a one-touch-access to services. The NFC-enabled Nokia 6212 classic will change the way mobile phone users interact with devices and services in their surroundings. This technology brings lots convenient just as the said by Nokia: It making consumers’ everyday lives more convenient. Credit card is provides holder to make purchase in advance up to a limit fixed by card issuer example Visa and Master card. 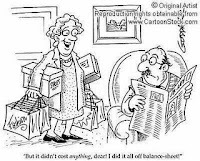 But the holder need to pay higher interest on the average daily unpaid balance. Even there is higher interest but the credit card holder still increasing. 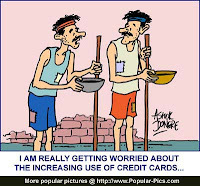 If the card holder is abuse use credit card it will cause them bankruptcy because of too much of debt unable to pay back. 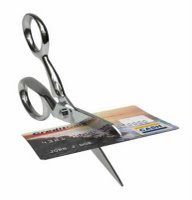 Nowadays there are many bonuses or gifts provide to the credit card holder when the holder use the card. Example when there have the alternative of paying RM100 Cash or sign RM100 credit card and get a gift or collect points from the issuer. The credit card holder sure will sign the card instead of paying cash because free of gift is most attractive in human being. When emergency need to treatment and don't have enough cash on hand or bank account the best way to settle this problem is using credit card for payment. 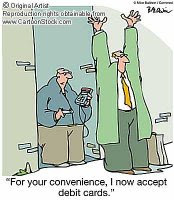 Because nowadays almost all doctors and hospitals are accept credit cards. Human have a bad habit is like to spend a lot due to attractive advertisement and lack of self control. The problem is most of them are less income especially economic downturn recently but their expenses are never cut down. So they forced to use their credit cards for household, utilities and more when their income is unable to cover the high expenses. Now one of the most popular activities to do through the internet is online shopping due to convenient to the user. Almost all the E-commerce activities need to payment by credit card. So the users just have to possessed a credit card, then they can buy the things through online. The first step toward taking control of your spending is to do a realistic assessment of how much money you take in and how much money you spend. Start by listing your income from all sources. Then, writing down all your expenses, even those that seem insignificant, is a helpful way to track your spending patterns, identify necessary expenses, and prioritize the rest. You must also keep following the plan until all credit cards have been paid off just continue to use and do not use those accounts again when the balances at zero. One of the best practices is to have a direct set up so that able to pay back the full amount each month and use in emergencies. The important is you must always self control and discipline to make sure that not overspend and always think that use credit card like use of money even it is really not cash. 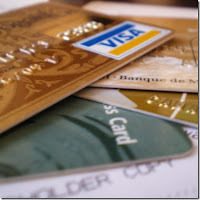 Limit your credit card use to certain categories of spending. Example pay only when there's no risk you will overspend such as insurances and utilities. Besides that, cut up your extra cards so that you are not tempted to use them and just save one card for emergencies. People spend more money when using credit cards compared to cash purchases. People also spend less when they look at their expenses in detail, the researchers found. So when you want to go out make sure that no bring extra credit card because the more credit card you have the more you spend. Touch 'n Go or TnG smart card is used by Malaysian toll expressway and highway operators as the sole electronic payment system (EPS). User can continue using the card as long as it is pre-loaded with electronic cash. User can reload the card at toll plazas, train stations, ATM, Cash Deposit Machines, Petrol kiosks and at authorised 3rd party outlets. Reload dennominaton is ranging from RM20 to Rm500. The purpose of implementation of this smart card was design to reduce the congestion at toll plaza. Now, this card also serve as the purpose of paying parking fees, bus and train tickets. This smart card had even spand its usability to pay bills when purchasing at A&W, Burger King, Dunkin' Donut, 7-eleven, Carrefour hypermarkets, Caltex convenience stores and Cineleisure. EZ-Link card is a contactless smart card used for the payment of public transportation fares in SIngapore, with limited use in the small payments retail sector. 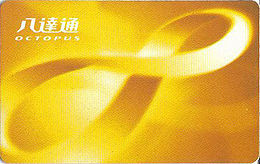 This smart card was introduced for use since January 2002 for use it on the MRT, LRT and public buses. Now, it is increasingly being used in all sectors of retail from leisure to dining or shopping. EZ-Link cards are sold, distributed and managed by EZ-Link Pte.Ltd, a subsidiary of Singapore's Land Transport Authority. Octopus card is a rechargeable contactless stored value smart card used to transfer electronic payments in online or offline systems in Hong Kong. It was launched in September 2007 and widely used in all public transport in Hong Kong. Besides that, Octopus card also used for payment at convenience stores, supermarkets, fast-food restaurants, on-street parking meters, cars parks, and other point-of-sale applications such as service stations and vending machines. 1. Pay bill – Rent, utilities, insurance, car payment, and cell phone bills can be paid instantly. 2. Shop anywhere as long as the card using is accepted at different retailers, buys fuel at the pump, pay by phone, and shop on the Internet. 3. Get cash at ATMs, any time of the day, and any day of the week. 4. Transfer money – For some prepaid cash card they provide the convenient such as send or receive money via bank wire transfers, between two cards. 6.E-identification – Smart cards storing personal information. For example: Malaysian Identity Card, Malaysian International passport. 7. Health care – Smart card stores health data about patient, allergies, past medical records. 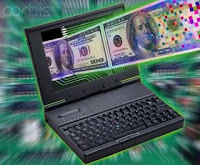 Electronic currency (e-currency) can be defined as money or scrip that is exchanged electronically by using the computer networks, internet and digital stored value systems. Electronic currency is essentially a system of representation of debits and credits used to exchange value that allow a person to pay for goods and services by transmitting a number from one computer to another. It is also known as e-money, electronic cash, electronic currency, digital money, digital cash or digital currency. It has become widely used due to the emerging of e-commerce and many people use electronic currency in conducting e-commerce transactions. There are some characteristics of electronic currency that making it become common among users. Firstly, the transfer of electronic currency is done at instant or 'real time', thus the transaction cannot be reversed. Once the transfer of electronic currency has been conducted, it cannot be canceled of by reversing the transfer of electronic currency process. Secondly, all the electronic currency transactions are conducted in private and anonymous way for both the sender and receiver. The transfer of electronic currency would not show the personal details of both parties, it would only show number, nick names or e-mail addresses, which do not reveal any privacy of the buyers. Electronic currency trading allows you to do business and earn with only a few dollars of investment. Electronic currency trading does not demand much and it is really up to you if you want increase your investment or not. With electronic currency trading you are given many opportunities to profit without spending too much on investment. Electronic currency trading has a low transaction cost. Unlike other business that eat up your profit with exorbitant fees, electronic currency trading allows you to do business with minimal fees giving you more profit and more money for you. Electronic currency trading is versatility and convenience to the persons involved. You can work with any electronic currency trading market that best suits your needs for any time of day. The electronic currency trading business does not sleep so night or day, the world is merely at your fingertips. Fraud over electronic currency trading has been a pressing issue in recent years. Hacking into bank accounts and illegal retrieval of banking records has led to a widespread invasion of privacy and has promoted identity theft. There is also pressing issue regarding the technology involved in electronic currency trading. Power failures, loss of records and undependable software often cause a major setback in promoting technology. As a conclusion, electronic currency has become a new form of currency in our merging world. Its impact on our daily life will be greater as now we are in this digitalized century. It brings a variety of benefits to us like make our life more convenience and easier. In the meanwhile, we need to consider some potential risk associated with the usage of electronic currency like security and fraud problem. Security and legal issue in regard to electronic currency should be taken attention by authorized bodies whether international or local bodies in strengthen and control these potential risks. E-commerce has been developed and widely used by the internet users since many years ago. However, security and lack of trust on the e-commerce are the main concern among the internet users. Phishing is one of the example in security issue. Hence we need a well-mandated security infrastructure on e-commerce websites in order to enhance the confidence among of the internet users on them. As a result, there is a security practice on e-commerce websites called certification programme. It can be called "third party certification programme" because it is performed by a third party. It is also called Certificate Authorities (CA). Third party cerification is an accessment carried out to ensure compliance with a publicly available technical specification. Importantly, the accessment is carried out by an independent, third party organization that is qualified and licensed to issue certification when the accessment is successfully completed. This means that rather than an organization or company claiming to comply with industry standards, they have taken their commitment to quality further and invited in an external third party to verify that their product or service does indeed complywith the industry standards. There are two main certificate authorities involve in third party certification programme in Malaysia, which are MSC Trustgate and Verisign. MSC Trustgate.com Sdn Bhd is a licensed Certification Authority (CA) operating within the Multimedia Super Corridor. MSC Trustgate was incorporated in 1999 to meet the growing need for secure open network communications and become the catalyst for the growth of e-commerce, both locally and across the ASEAN region. Trustgate is licensed under the Digital Signature Act 1997 (DSA), a Malaysia law that sets a global precedent for the mandate of a CA. As a CA, Trustgate core's business is to provide digital certification services, including digital certificates, cryptographic products, and software development. The products and services of Trustgate are SSL Certificates, MyKAD ID, MyTrust, Managed PKI, SSL PKN, Personal ID, Managed Security Services, Verisign Certified Training and Development. It provides security solution for individuals, enterprises, government and e-commerce services providers using digital certificates, digital signature, encryption and decryption as this is the primary concern of entering into the new Internet economy. The vision of Trustgate is to enable organizations to conduct their business securely over the Internet, as much as what they have been enjoying in the physical world. Except of MSC Trustgate, Verisign Secure Site is used to ensure data confidentiality and integrity, it leading Secure Sockets Layer (SSL) Certificate Authority which also enabling the security of e-commerce, communications and interactions for websites, intranets and extranets. It provides security solutions to protect an organization's consumers, brand, website and network. By Verisign, all information transmitted through Internet is encryptedusing the 128-bit SSL protocal. SSL is a secure way of transferring information between 2 computer on the Internet using encryption. Strong end to end encryption is also adopted within the bank's computer networks and resources. Verisign infrastructure helps organizations to deliver in the Any Era and realize the maximum profit. It is also towards that goal that we focus our company, our technology, our services and our people. It helps companies and consumers all over the world to engage in trusted communications and commerce. In conclusion, the establishment of Certificate Authorities is important and they play vital role not only to catalysts the growth of e-commerce but also to inspect the security of e-commerce websites as it provides a safe and secure protection. More e-consumer can now shop and purchase online cafe-free while their personal information or confidentiality is protected. The Threat of Online Security : How Safe is Our Data ? Do you ever think that how safe is your data? Nowadays, people often create, store and manage critical information through computer. All kinds of activity from banking to storing company's personal details are done through internet. Consequently, it is important for users to aware that computer security plays a major role in protecting their data from loss, damage and misuse. Spyware is a type of malware that is installed surreptitiously on personal computer to collect information about users, their computer or browsing habits without their informed consent. 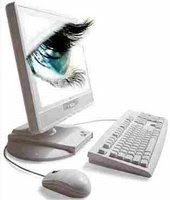 Spyware is usually engineered to watch your online activity and uncover security flaws. The best way to avoid spyware is to avoid the sites and e-mails that leave it on your PC. There are a number of programs available that offer spyware removal and detection and can be downloaded for free at sites such as download.com. Identity theft occurs when a criminal uses anoher person's personal information to take on that person's identity.There have variety of methods that hackers can steal your information through the PC. Once this information is gained, it will be used to make online purchases using your credit card data, divert paychecks and create false documents. Usually, the top internet security software comes with some protection against this problem. An internet security suite may be your best bet to protect youronline information. The quick tips to protect yourself against online ID theft is never provide your credit card info to any site that does not offer multiple forms of internet security to protect your transaction. Spam by e-mail is a type of spam that involves sending identical or nearly identical messages to thousand ( or millions ) of recipients. Spam mail itself is not dangerous. However, it can have malicious links that can do everything from cause your PC to be infected by a virus, introduce spyware, and attract more spam. A good internet spam filter is usually a good option. The auick internet security tip is when typing your address into the net, try to use a combination of 13 letters and numbers. This will make it difficult for address to be added spam mail list. Phishing is the criminally fraudulent process of attempting to acquire sensitive information such as usernames, passwords and credit card details by masquerading as a trustworthy entity in an electronic communication. Phishing is normally carried out by e-mail or instant messaging an it often directs users to enter details at a fake website whose look and feel are almost similar to the real one. The scammers will then use this personal information for their own purposes, or sell the information to other criminal parties. The best way to avoid phishing attacks is not to click any e-mails that you believe to be suspicious. Besides that, you may also update your web browser with phishing detection. Internet security software package such as Webroot's Spysweeper and ZoneAlarm Internet Security Suite have great phishing detection systems. Computer virus is a self-replicating or self-reproducing program that are designed to spread from one computer to another computer and to interfere with computer operation. Virus are one of several types of malicious software or malware. A basic rule is that computer virus cannot directly damage hardware, but only software. Viruses are most easily spread by attachments in e-mail messages or instant messaging messages. Viruses can be disguised as attachment of funny images, greeting cards, or audio and video files. Besides that, viruses also can spread through downloads on the the internet.